Everyone who has seen a pelican in action is amazed by its size, maneuverability, vision, courage, and gift as a fisherman. I mean, who can dive into the water headfirst from 40 feet in the air – with their mouth open – and catch a fish? Yet, even at rest, the pelican has an uncanny way about it that communicates tranquility, confidence, and satisfaction. The “personality” of the pelican has made it a symbol for everything to worldly success to tropical relaxation. While this may set the pelican several bars above many other animals and birds, it hardly explains why the early Christians used the pelican as a symbol for Christ. Yes, its true. 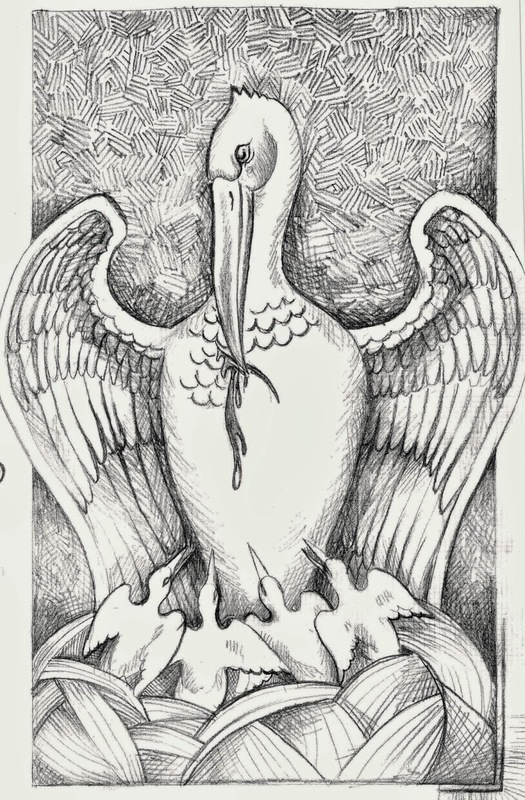 Though many contemporary Christians have never heard of this, the pelican was an important symbol for the love, sacrifice, power, and life delivered by our Savior, Jesus Christ. the earth, the people of the Mediterranean had an incredible respect for the pelican. 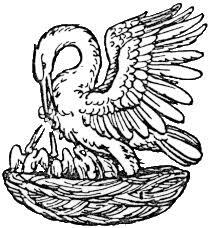 In fact, the pelican became a legendary figure. In times of famine, the pelican was known to tear at its own breast, draw blood, and feed its young in order that they may have life. Naturally, when these people received news that God, in His great love, had come into the world in human form, shedding His own blood to wash, adopt, and redeem us (Holy Baptism), and to FEED US (The Lord’s Supper) so that we may have forgiveness and life, they made a direct connection with what they already had seen in the pelican. 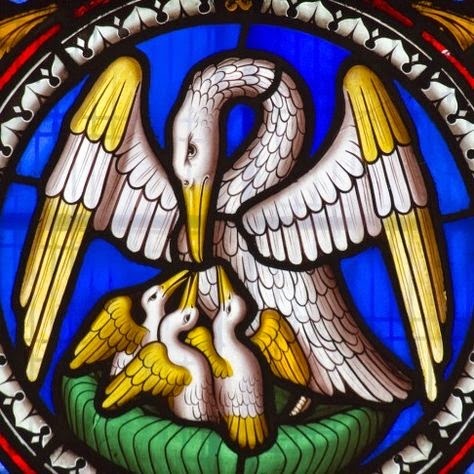 The symbol of the pelican feeding its young with three drops of blood from its chest was used in numerous cathedrals through the end of the Middle Ages.In some, it was included as stained glass, in others the scene was etched into stone on the alter. In some churches, the tabernacle over the alter was completely fashioned in the shape of a pelican. The story of the pelican, as a reminder of our Lord Jesus, was included in European Christian literature and song through the 17th century. 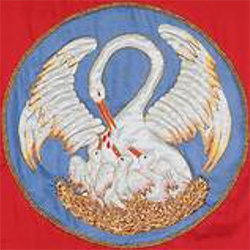 Even in the United States, the symbol of the pelican has been found in Lutheran churches as a reminder of the atoning sacrifice of Jesus Christ. 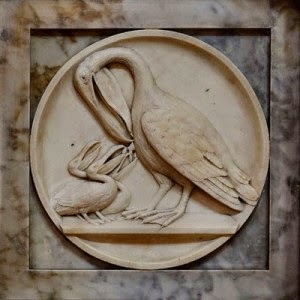 Still today, liturgical items bearing the pelican symbol can be purchased. 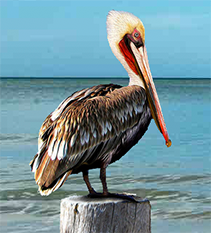 In 2016 in Naples, Florida – where pelicans are abundant and popular, the pelican is a perfect fit for a new, Christian mission in the LCMS with: a great vision for filling the community with Christ, training all converts to be fishers of men, and courageously diving headfirst into a multi-ethnic community to start a multi-ethnic congregation. Welcome to the Pelican Community Center and Lutheran Church.